What could a team possibly do in deepest, darkest rural Italy? Of course there was only one thing - truffle hunting. Of course! When the idea was first discussed I was highly skeptical. I thought it would be a set up, an absolutely fake experience created for the corporate tourist. In reality, I was surprised and amazed. We were met by a lovely Italian couple and their pet dog. 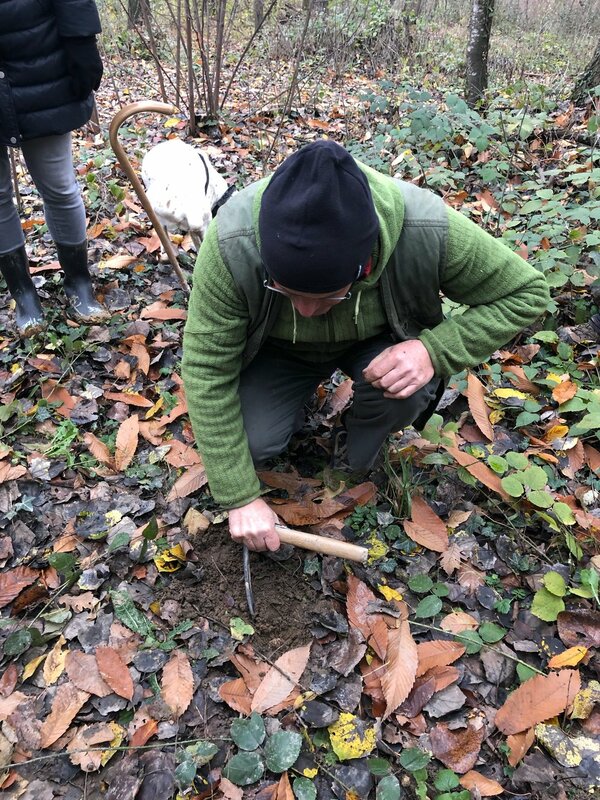 Not only did they educate us in the “whys and wherefores” of truffles, but also on the rural aspects of Italian life that had gone on for centuries. We slowed down and were encouraged to notice our environment and not miss things such as the types of trees, where the water flowed from and the various insects and wildlife. The walk was wonderful - up hill and down dale through the woods and I was amazed how the dog searched out and found our hidden treasure. We found 8 in total with a retail value of about 800 Euros - not bad for a countryside walk! So, this curious event, and unique team building experience had many lessons, not least “don’t jump to conclusions” but the main one for me was to be present, to slow down, and to notice the small things. I wonder what we miss by not doing this?